Superior services that are efficient, convenient and cost effective. Fully serviced rooms with great flexibility. High quality and timely production of your documents. • Have extra time to focus on your practice? • Spend more time with patients and less on admin? It’s possible with mi-Support’s quadruple ISO-certified outsourced practice management solutions, including transcriptions, receptionist services and consulting rooms for hire. mi-Support provides you ‘a better way’ to manage your practice, fostering better patient outcomes by reducing the amount of time and money you need to spend on administration. Whether you want an easy way to start a new practice, or are an established business, mi-Support can help. mi-Support is backed by more than thirty years of experience, and is a trusted partner to thousands of consultants, GPs and other health professionals. We are also the only practice management provider in Australia that is quadruple ISO-certified – ensuring the highest standards in security, privacy, quality and environment. Our transcribing services are accurate, fast, meet the highest standards for security and get rave reviews from consultants – as you can see below. Our consulting rooms for hire are affordable, convenient and fully-serviced with short and long term options. mi-Support’s receptionist service is first-class, welcoming and flexible. And, if you’re looking to grow your practice, mi-Work provides access to new income streams. Giving you round-the-clock access to specialist medical transcriptionists and the latest, robust technology. Use our quality medical transcription services to ensure all your medical dictations are transcribed quickly and accurately, allowing you to focus on patients over administration. Call us today for a free trial – 1300 642 546. Ensure your calls are answered promptly and professionally, with mi-Reception – a first-class, welcoming reception service to manage your appointment diary, at a fraction of the in-house cost. Call us today for more information or a free quote – 1300 642 546. 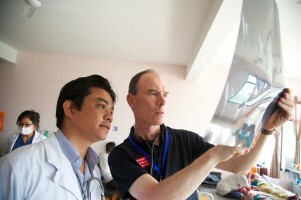 Reduce your practice costs with mi-Rooms. Access fully-serviced consulting rooms for short-term, sessional or long-term rentals, across Australia. Let us tell you more. Call us today on 1300 642 546. Let the mi-Work program boost your income. By connecting you with businesses and government agencies all over the country, you will benefit from exciting new consulting opportunities. Want to know more about how mi-Support can help improve your patient outcomes? 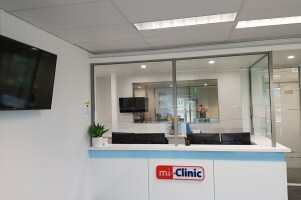 Starting the process has never been easier – call us today on 1300 642 546.
mi-Rooms set to hit Townsville! patient outcomes? Starting the process has never been easier - call us today on 1300 642 546.